As exciting as it is to embark on a new adventure as an Independent Business Owner, there is a lot to learn during the first few years. Your Independent Business Owners Association International (IBOAI® †) is here to assist and support every IBO, regardless of where each IBO is in the journey. 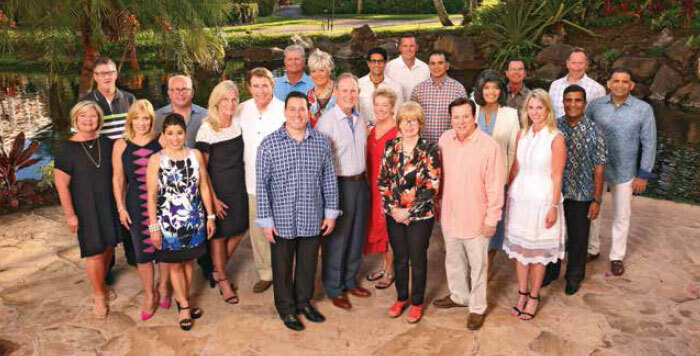 Every day, IBOAI® † Board members demonstrate the best IBO practices as they lead their own successful organizations – and by their steadfast service as representatives of all IBOs in North America. Every IBO, from first year to Diamond and above, is encouraged to look to the IBOAI®† for educational resources and purposeful communications. Keeping informed helps you understand the founding principles of the Business, follow the best practices and become a successful IBO leader and role model. Phone conferences held periodically between the IBOAI® † Board and Diamond Leadership ensure the Board understands what’s needed in the field – and that the IBO Leaders are kept aware of the Board’s recent accomplishments and ongoing projects. Quarterly Board meetings with Amway Corporate Staff involve presentations, discussions, recommendations and important decision-making. Participation at Amway IBO Recognition events – New Platinum Conferences, Achievers and Diamond Club – makes it easy for IBOsto get acquainted with the IBOAI®†. Learn and grow via accessible online resources at IBOAI.com. The Voice eNewsletter via email lets IBOs know what’s new, what’s happening and what’s ahead with a letter from the IBOAI® † chairman, the latest Board meeting summary, event articles, photos and more. The IBOAI®† Board convenes at Diamond Club 2017. † IBOAI® is a registered trademark of Independent Business Owners Association International.